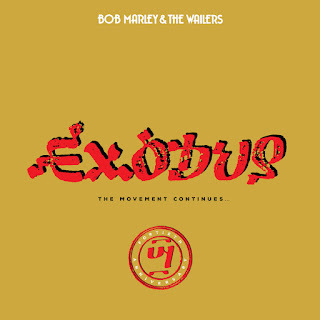 20 APRIL 2017 (Toronto, ON) — Bob Marley & the Wailers’ classic Exodus album, the ninth studio album of the band, was released on June 3, 1977, featuring a new backing band including brothers Carlton and Aston “Family Man” Barrett on drums and bass, Tyrone Downie on keyboards, Alvin “Seeco” Patterson on percussion, and the I Threes, Judy Mowatt, Marcia Griffiths and Rita Marley on backing vocals, and newest member Julian “Junior Marvin” on guitar. The album was released just six months after an assassination attempt was made on Bob Marley’s life in Jamaica in December, forcing him to flee to London, where Exodus was recorded. This June, The Marley Family along with Island/UMe/Universal Music Canada, the country’s leading music company, will mark the 40th anniversary of Exodus – named the “Best Album of the 20th Century” by Time magazine in 1999 – with a series of four separate reissues, three of which will feature Exodus 40 – The Movement Continues, son Ziggy Marley’s newly curated “restatement” of the original album. June 2 sees the release of a version of Exodus 40 – The Movement Continues in a two-CD package that includes the original album and the Ziggy Marley “restatement”; a three-CD set (and digital equivalent) that includes the original Exodus, Exodus 40 – The Movement Continues and Exodus Live. A limited edition gold vinyl version of the original 1977 album will also be available. A Super Deluxe, four-LP, two-7” single vinyl version includes the original LP, Ziggy Marley’s restatement Exodus 40 – The Movement Continues, an Exodus Live set recorded at London’s Rainbow Theatre the week of the album’s release, Punky Reggae Party LP which includes a previously unreleased extended mix of Keep On Moving, and a pair of vinyl 7” singles, including Waiting in Vain b/w Roots and Smile Jamaica (Part One) b/w Smile Jamaica (Part Two). 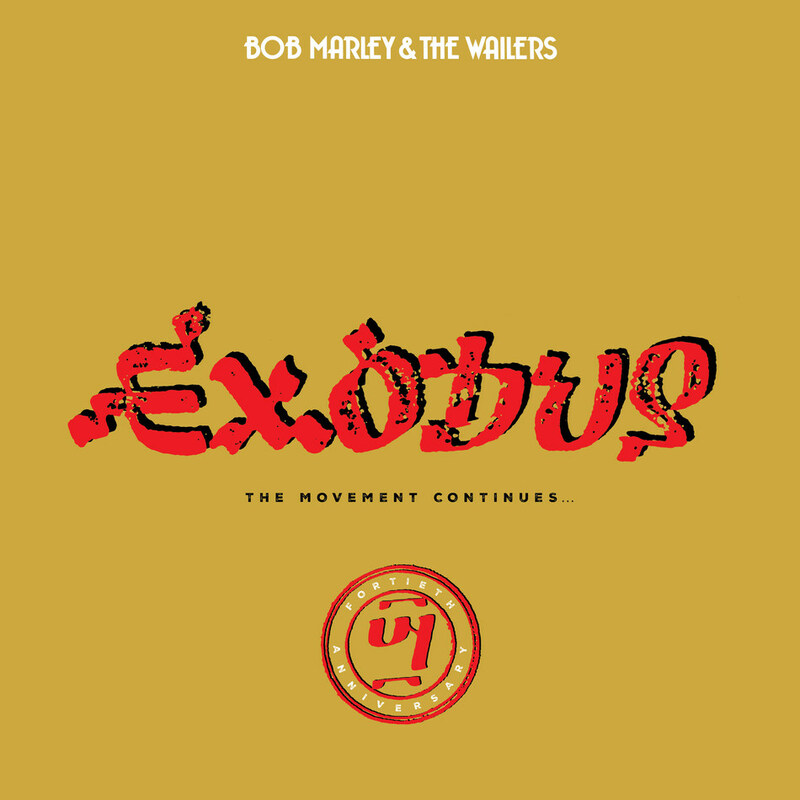 In celebration of the Exodus 40th Anniversary, fans who pre-order the Exodus 40 – The Movement Continues Super Deluxe edition via BobMarley.com or uDiscover.com will receive a digital download of the entire package as well as an exclusive Stephen Marley “Juggling” of the song Exodus with a reimagined music bed and different lead vocalists including Beenie Man, Queen Ifrica, Tarrus Riley and more to be announced, on June 2nd in advance of the June 30th physical release date. Following Jamaican music customs of taking a music track (known as the “riddim” or “juggling”) and have several artists record original songs with original lyric and melody on that track, Stephen Marley has recorded a “Re Likk” EP of the Exodus Riddim that will be available exclusively in Jamaica and the Caribbean. Ziggy uncovered 10 lead vocal outtakes for One Love, proceeding to piece together a dazzling, new lead vocal from the outtakes, which includes vocal booth lyric ad libs near the end of the song. He also assembled a noteworthy roster of musicians to record a new music bed for Turn Your Lights Down Low – which leads the song into deeper elements of R&B. Bob’s original vocals sit atop this fresh music bed, creating a new soulful experience with this iconic song. Ziggy and his hand-chosen musicians provide subtle instrumental textures throughout this knowledgeable reimagining from the multiple Grammy® winning heir to his father’s legacy. Ziggy Marley will be embarking on a summer tour beginning in June and, in addition to his own lauded catalogue, Ziggy will also be incorporating music from Exodus into his set. For tour information, please visit ziggymarley.com. Bob Marley, a Rock and Roll Hall of Fame inductee, is notable not only as the man who put reggae on the global map, but, as a statesman in his native Jamaica, he famously brought together the country’s warring factions. Today, Bob Marley remains one of the 20th century’s most important and influential entertainment icons. Marley’s lifestyle and music continue to inspire new generations as his legacy lives on through his music. In the digital era, he has the second-highest social media following of any posthumous celebrity, with the official Bob Marley Facebook page drawing more than 74 million fans, ranking it among the Top 20 of all Facebook pages and Top 10 among celebrity pages. Marley’s music catalog has sold millions of albums worldwide. His iconic collection LEGEND holds the distinction of being the longest-charting album in the history of Billboard magazine’s Catalog Albums chart and remains the world’s best-selling reggae album. Marley’s accolades include inductions into the Rock and Roll Hall of Fame (1994) and ASCAP Songwriters Hall of Fame (2010), a GRAMMY® Lifetime Achievement Award (2001), multiple entries in the GRAMMY® Hall Of Fame, and a star on the Hollywood Walk of Fame (2001).